The stories are true. 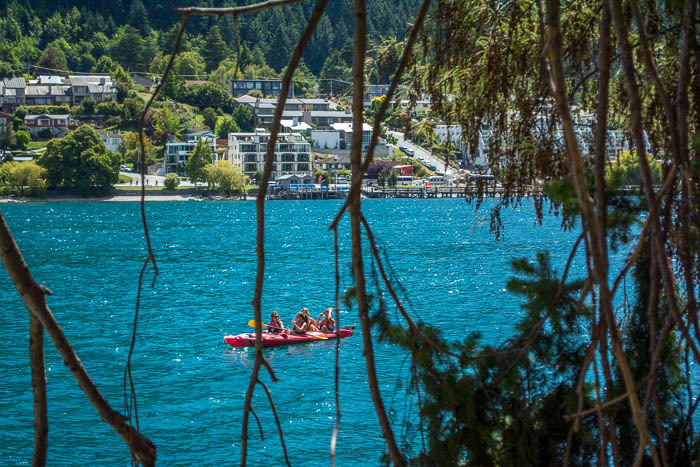 Queenstown does have a magnetizing buzz. It pulls you, traps you, and doesn’t let you go until you feel daring, awake, and alive. 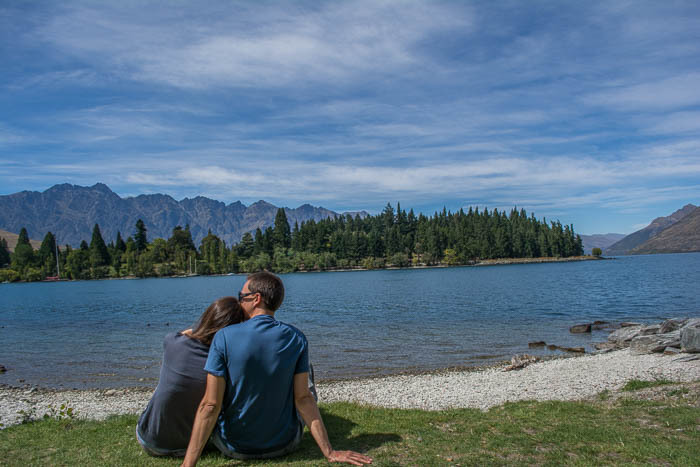 Three years ago we were planning on moving to Australia after our honeymoon, and since New Zealand has always seemed so magical and fun, we sneaked it into our travel itinerary. Plans, though, have a tendency to change, and we ended up living in Spain instead. Big big change, I know. Sadly, New Zealand would have to wait. Since then, it kept its irrevocable number one spot on our bucket list. We daydreamed about visiting it one day, talked about all the crazy stuff we wanted to do there, bought travel guides even though we had no immediate plans of going, and stalked pictures on Pinterest. 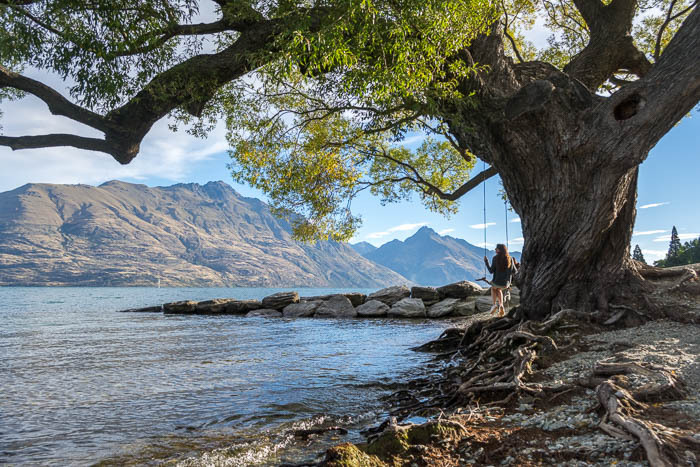 This only made our itch to go to New Zealand stronger, and harder to shake. We kept on traveling, adventuring to other cool places, hoping we could one day go. On August 24 of last year our permanent resident Australian visas were finally approved and, in order to keep them, we had to fly to get our passports stamped before May-2015. This was the opportunity we’d been hoping for. What does New Zealand have to do with any of it? Yes, technically we had to travel to Australia, but New Zealand’s just ‘right there’, you know? This was the closest we’d come to New Zealand in 3 years so, we took the opportunity without giving it a second thought. The planning began and all those travel guides were finally put to use. 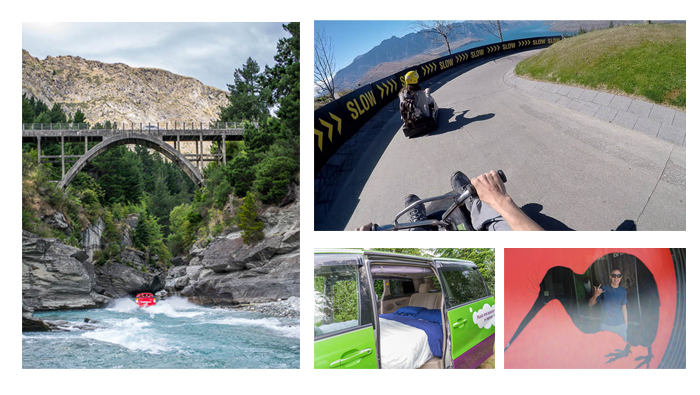 Queenstown, Adventure Capital of the World would be our first stop. 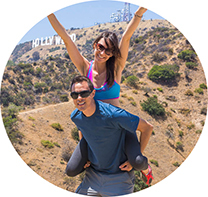 We knew it was the place where people go to do stuff they’ve only dreamed about, and that’s exactly what we wanted to sign up for. 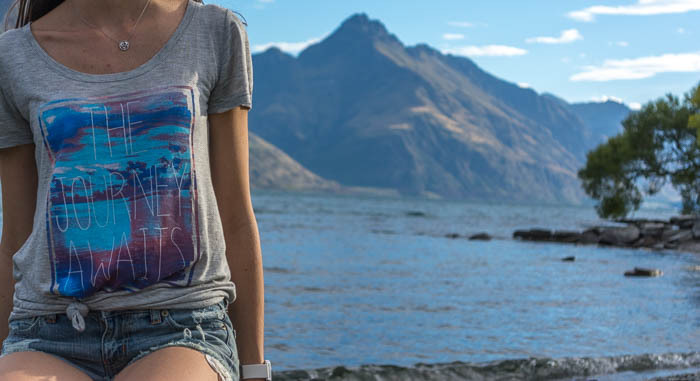 Surrounded by the mountain range of the Remarkables (that’s the first clue right there), and outlined by gleaming Lake Wakatipu, it became pretty clear to us that Queenstown was going to be even more interesting than we thought. After picking up our Jucy Cabana we headed straight to the lake. We strolled around the edge and found a tree swing overlooking the mountains. My inner child (whom, embarrassingly, I let out too often) ran and swung until the sun began to disappear behind the mountains. 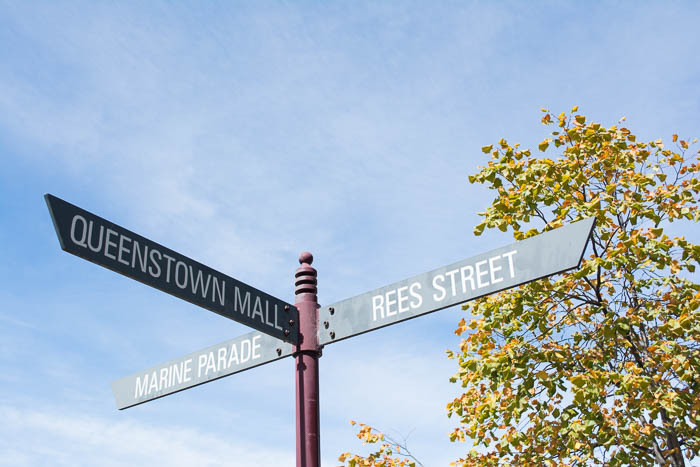 There was something quite peaceful about that moment, something we weren’t expecting from Queesntown, and it was a really nice surprise. 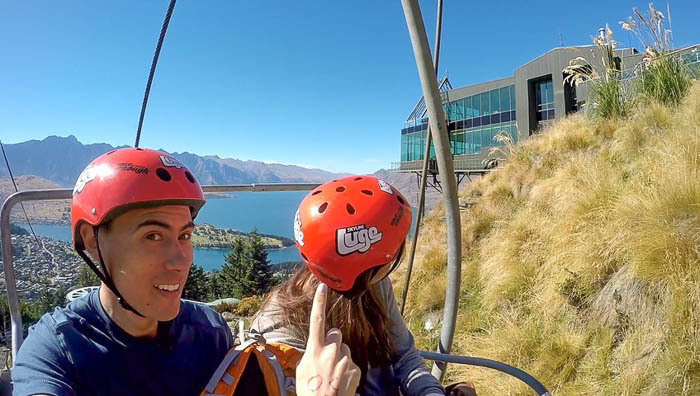 The next day we were ready to see why this city wears the ‘Global Adventure Capital’ badge, and were ready for an adrenaline packed day in Queenstown. We started our day paragliding with G Force Paragliding, and even though that turned out to be pretty intense (at least for me), we hadn’t quenched our adrenaline-thirst just yet. The paragliding experience came with an all-day Gondola pass so we hopped aboard again. 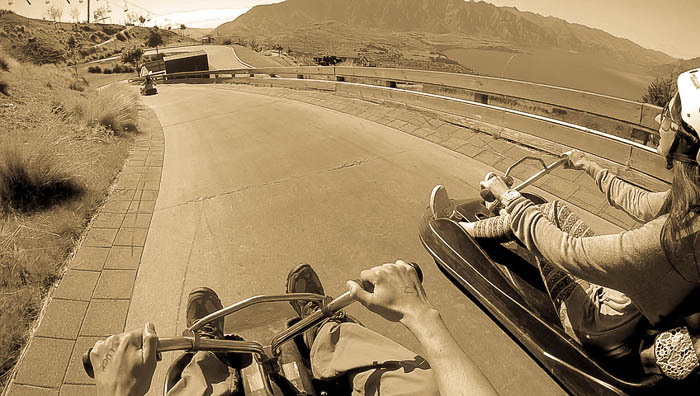 Once at the top, we jumped on our Luge: three-wheeled, gravity-fueled carts, which we drove down a track full of twists, turns, steep gradients, tunnels and dips. 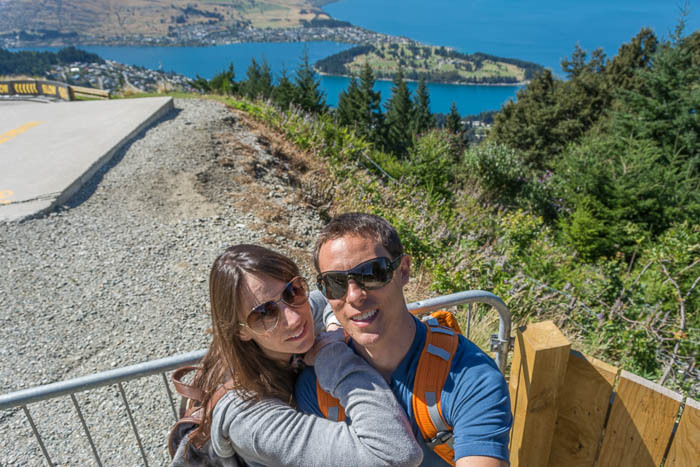 All with unbelievable views of Queenstown. Isaac strapped the GoPro to my helmet so I could film my descent. I should say that I’ve always had trouble with helmets. They never fit, or they slip awkwardly to one side, so we should have guessed that having me carry something on the head wasn’t the greatest idea. 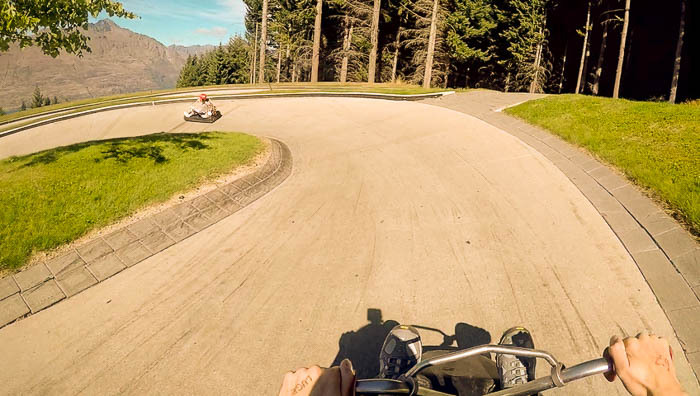 As we were coming out of a dip, the track twisted to the right, I veered my Luge, and mid-turn my helmet, along with the GoPro, simply fell. As I tried to catch it, in my natural clumsiness, I let go of the cart handle (which pretty much controls the whole thing), spun, and ended up smacked against the side dirt wall. Isaac had to turn violently so he didn’t collide with me. We had a bit of trouble getting my cart unstuck but were able to move right before three other Luge carts hit us. Leave it to me to almost cause the biggest traffic collision in Luge history. I became a Luge master after that, (or that’s what I like to tell myself), and we went down the track a couple more times. For lunch we walked around the city (or should I say big town) and had a picnic by the lake. The more time we spent there, the more we couldn’t believe a place like this existed. I mean, our expectations for Queenstown were high but nothing can compare to actually stand there in the presence of such magnificence. 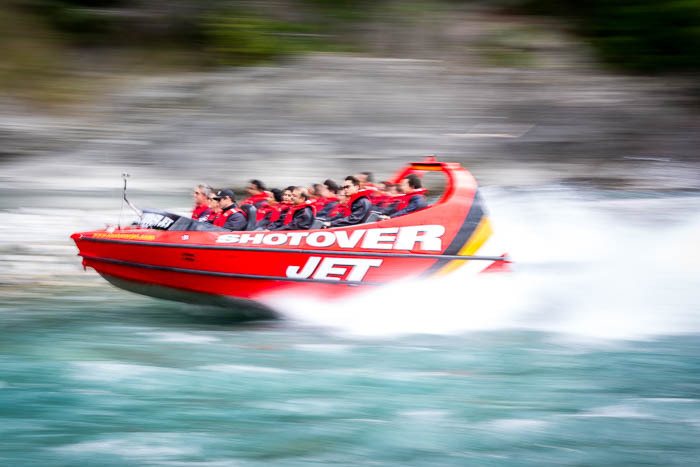 Next, it was time for Shotover Jet. To be honest, I wasn’t as excited for this activity as I was for the other two. I figured it would just be a glorified boat ride. Boy, was I wrong. 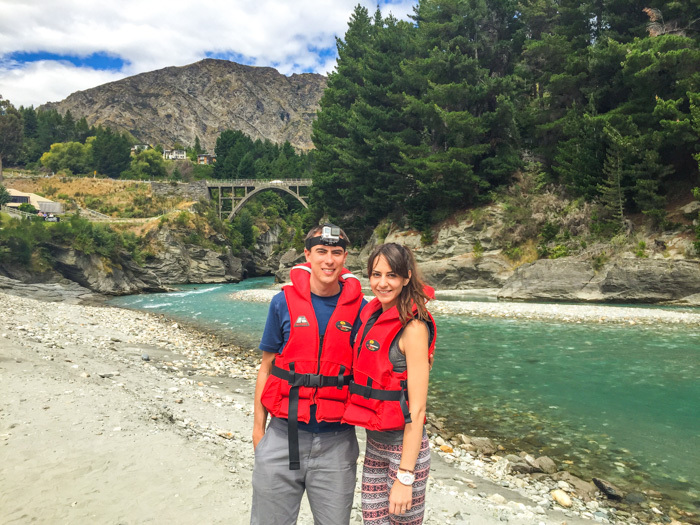 First of all, the Shotover River Canyon is beautiful. The purest of blues framed by smooth boulders and vibrant trees, and arched by a striking tall bridge. If you’re taking a fast, exhilarating ride with 360° spins, it might as well be here. We strapped on our life jackets and held on tight. What a fun ride! We enjoyed every second of the half-hour trip. I literally couldn’t stop screaming and smiling even as the wind threatened to blow my skin off. We had a complete blast and it was over way too soon. It was one of the most fun things we’d ever done and I was really glad to have been proved wrong. 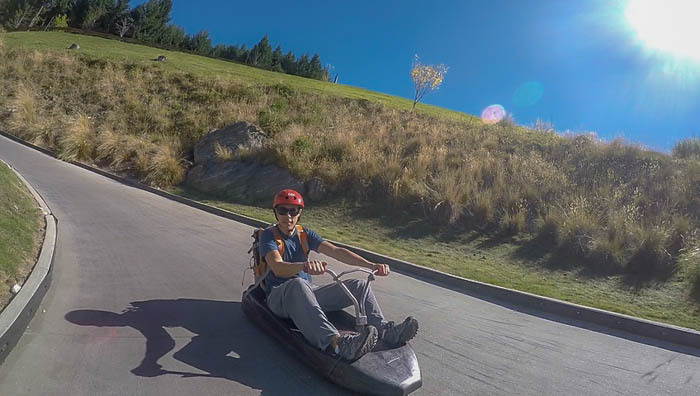 It was a fun adrenaline-filled day in Queenstown. Our New Zealand trip was off to a great start. 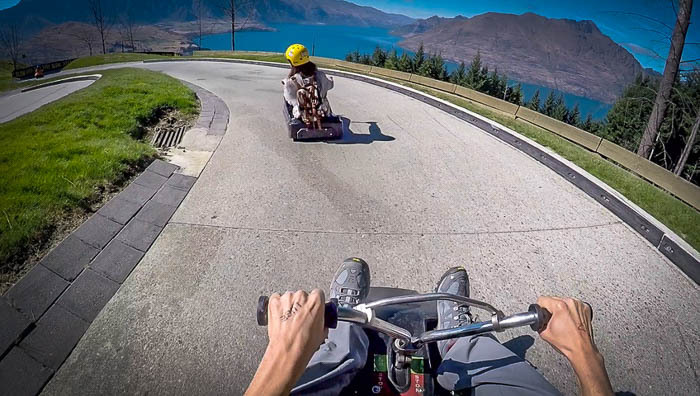 What have you done in Queenstown? Did you think you were capable of doing it, or did the peculiar Queenstown energy invite you to try it? Paragliding in Queenstown. An extreme, wonderful experience.